d hospitals without power once again, signs That Reminded us of the fragility of our lives here and now. The Insurance Companies Established That They Will Pay for Damage Caused by winds but not by flooding. All human Policies and our plans change course Once You Have the satellite coordinates That force us to re-adjusting accordingly. Ideally, the coordinates Could be born of our contact with God and our paths follow the direction Indicated by the divine wishes. “Oh God, You have probed me and you know me, you understand my thoughts and all my ways are Known to you”. This prayer of Psalm 138 (139) Could be a responsory for These Times and to lower level and humble our plans and to start over today. 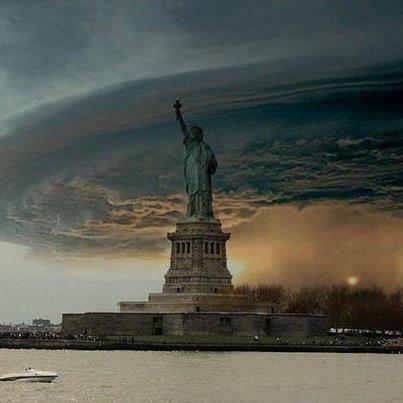 This is an amazing shot of New York today with the Frankenstorm bearing down. Nature is so powerful, yet so beautiful.